Netflix had an incredible year in the market in 2015, and for those of you who are wondering, that trend isn’t likely to change. Netflix has been making some big moves as of late that are setting the stage for the stock to outperform its own 2015 performance in 2016. I know, beating 130% growth is a hard feat to accomplish, but the reality is, NFLX is likely capable of doing so. Today, we’ll talk about why! Changes In Consumer Habits – One of the biggest reasons that NFLX had such a good year in 2015 was the fact that we have seen a big shift in consumer habits. When it comes to digesting video content, consumers have shifted away from the cables, wires, and DVD players. Today, they are heavily focused on streaming content! Because Netflix is one of the most well known places to get solid streaming content, they are taking a large share of this business! Improvements In Exclusive Content – Now that streaming content has become all the rage, the new moves being made surround exclusivity. After all, if there’s a great show available on Netflix and only Netflix, well, more and more people will want to sign up to see that show. As a result, NFLX has started to work on offering exclusive content, and they are doing a great job of it! Increased Relationships With Publishers – Finally, online streaming services need content providers. While some will have their own unique content, consumers crave more! As a result, these service providers need to work to bring in more and more publishers, and NFLX has been doing a great job at doing just that! 2016 has started out in a great way for NFLX and is likely to continue going in this direction. In fact, right at the start of the year, the company made a huge announcement. Netflix is now a worldwide company. Before going worldwide, NFLX services were only available in a few countries. However, earlier in January, Netflix announced that it would launch in 130 countries around the world. Considering the massive growth we’ve seen with the smaller target audience, it only makes sense that Netflix will see exponentially larger figures now that it has an exponentially larger audience. Also, considering the company’s history, I’m expecting that we will see more original shows and movies as well as more and more publishers getting involved in the service. The bottom line here is that NFLX has done incredibly well for a good reason. The company has played a major role in changing the way consumers digest video content and has solidified their position as a major player in online streaming video. Now, with the larger audience, we’re likely to see even more growth. 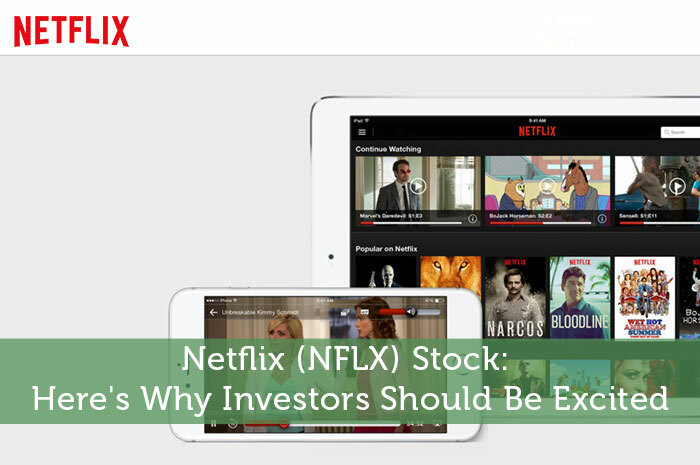 So, if you’re considering investing in NFLX, you’re headed in the right direction. Where do think NFLX is headed moving forward? Let us know your opinion in the comments below!